According to the ILO Global Wage Report 2016/17, the United Kingdom introduced a statutory minimum wage with national coverage in 1999 and a higher national “living wage” in 2016. 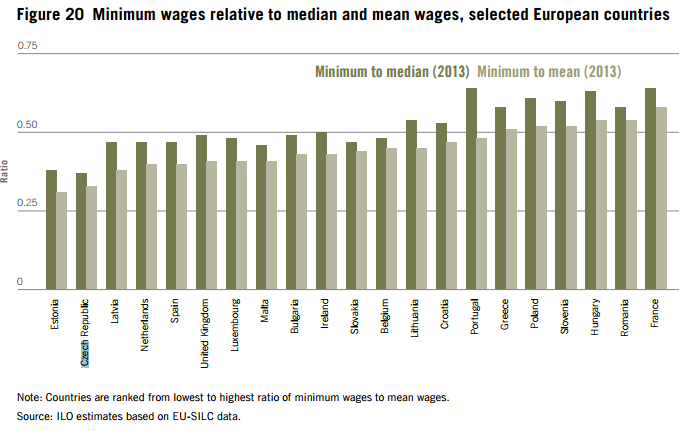 Since the early 1990s eight other OECD countries – the Czech Republic, Estonia, Ireland, Israel, Poland, Slovakia, Slovenia and, most recently, Germany – have also adopted a statutory minimum wage. According to the report, the estimates show that in the case of Estonia or the Czech Republic someone who earns the minimum wage receives about 37 or 38 per cent of what the median earner receives, while in Hungary, Portugal or France that ratio increases to more than 60 per cent. Most countries have a minimum wage somewhere between 45 and 60 per cent of the median wage. 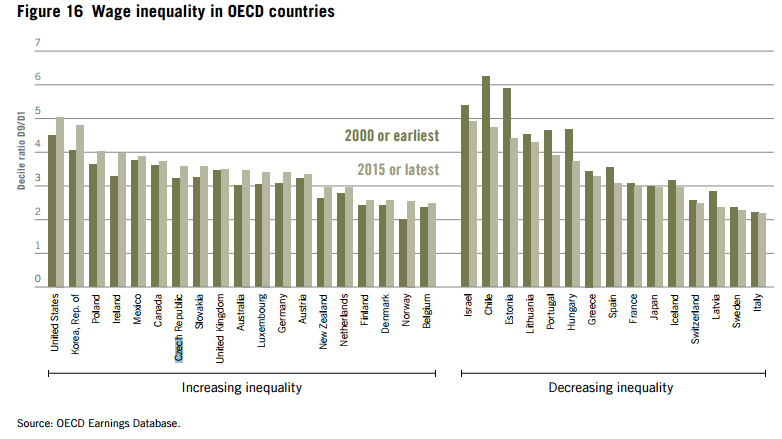 We can observe, the report says, that in many countries there is some level of correspondence between a low level of wage inequality of individuals and a low level of wage inequality between enterprises (as, for example, in Sweden or Norway) or a higher level of inequality of both types (such as in the United Kingdom and Romania), though in some countries there is a large difference between the two types of inequality (as in the Czech Republic or Portugal, with wage inequality between individuals much greater than wage inequality between enterprises).